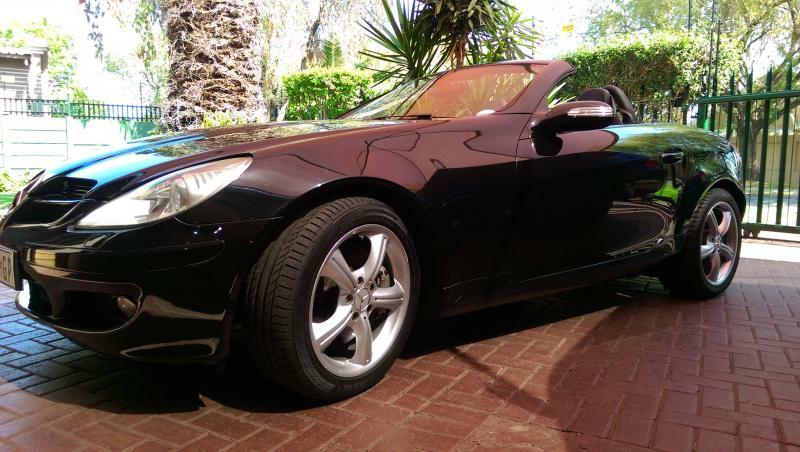 Mercedes Benz SLK Forum > Club and Regional Discussion Forum > South Africa > First thread - owners list? Let me know how yours is treating you. Just had to do some work on my AC compressor. It was causing my engine to stall or alternatively the multiv belt to snap. Hey Brother P! In just over two years, I must say not badly at all. I bought the car second hand in 2013 and the rear SAM unit needed replacing, none of the rear lights were working. R 10 000.00 later, but it was paid for by the selling dealer. Since then, there was a thrumming vibration that started about six months after I took ownership and I was petrified that it was the diff. It led to "Google doctoring" and I was horrified at the consequence of such a catastrophe. Thankfully, after sending the car in for new tyres, it turned out that one of the rims was buckled (my fault) so I had all four straightened, cleaned up and the vibration's disappeared. The car is currently slightly out of commission at the moment with the secondary air injection pump having given up the ghost and fright the related circuit board in the front SAM unit. The pump issue is seemingly common and there's a thread on here about diagnosis and (if you're brave enough) DIY repair. Anyhow, both of those need to be replaced. I've been told that I can still drive the car but I'd rather not tempt fate. I'm awaiting delivery of the parts and hope to have him back in fine fettle by the end of next week. Oh and I changed the poly-belt about 20 000km ago, it had developed a squeak but wasn't too badly worn. I don't like odd noises so I had it seen to. Normal wear and tear that though. Other than those two issues, one self-imposed, I have absolutely no cause for complaint. I love my Blue Monster and have no intention of selling! This one's a keeper and I'm hoping to add an AMG as a stablemate in the next few years. How long have you had yours for? Any other issues other than the A/C? I bought mine 2nd hand in 2013 and this is the only issue I have had with it. The issue was there from the start but it didnt show itself as something serious until the engine stalling drama started to happen. This combined with a Bosch workshop who knows nothing about repairng cars except to plug them into a diagnostic machine cost me 5 months, 3 poly-belts and a radiator. Other than this I replaced shocks and tyres. Bought it at 144000km currently at 200000km. Hi all from Cape Town. No major issues (yet! ), but some minor bugs (park distance faulty, noisy roof on bumpy roads). Chippyslk350 and Charl Anonymous like this. Other Toys: Jeep Grand Cherokee 5.7, Honda Accord 2.4 Exec., My Pub..
Hello All from Alberton SA.. I have just stumbeled over this page / site for South African Owners.. I see a few around here in Alberton on my travels but have not actually met anyone!!... Hope to see someone from around here soon!! Guys where can I find aftermarket SLK body parts in SA? Looked every where and found nothing. I'm looking for a rear wing and front splitters. Can't believe no-one's posted here before... so how about a register of South African SLK owners? That would be a great idea. There must be quite a few slk owners in S.A. Surely there is a Merc club.? When i had my Porsche 911 turbo and Nissan 350z it was easy to find clubs and meet new people with common interests and social events. Sinbads post was from 2013, 5 years ago. Probably better to ping him a PM! jbanks15 and LeonardoDaBenz like this. First please update your vehicle (year? : 1996-2018) in your profile as it helps the members answer your questions which usually are based on that information if you haven’t. This takes about 30 seconds to do. Follow exactly to update: ‘Usercp’ at the top of page, then ‘edit your details’ on the left side, ‘additional information’ near the bottom, edit your ‘vehicle’. Info in your garage does not update your profile. They need 15 posts to be able to PM members. Mods can be PM'd by anyone, regardless of post count. First thread - owners list?